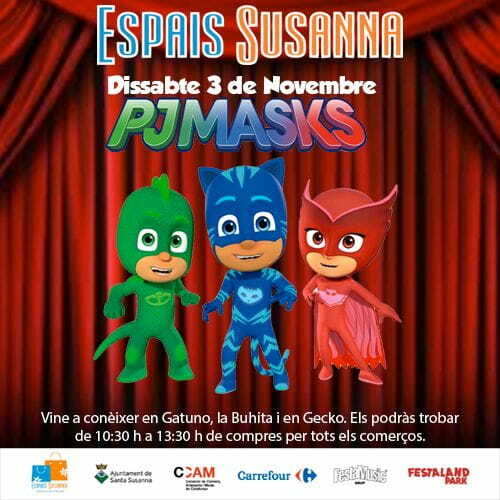 Saturday 3 PJ MASKS @Espais Susanna! Come to know the Gatuno, the Buhilla and the Gecko!! You will find them of purchases for all the trades of 10:30 to 13:30 h.